I often come up with ideas that I really like, but that require tons of work. Such is the case with today's project. Don't let me scare you, because making one of these is pretty easy. Making 60 is another thing. Here's how this all happened. I'm the preschool coordinator for our church's Sunday school, which means I make sure that we have everything we need for each Sunday, check in with teachers and fill in when needed, and among other things, I sometimes find little gifts or treats for all the kids. Easter is pretty much the biggest and best Sunday of the year, so I wanted to give them something special. The trouble was finding something significant for kinds ages 2–Kindergarten. 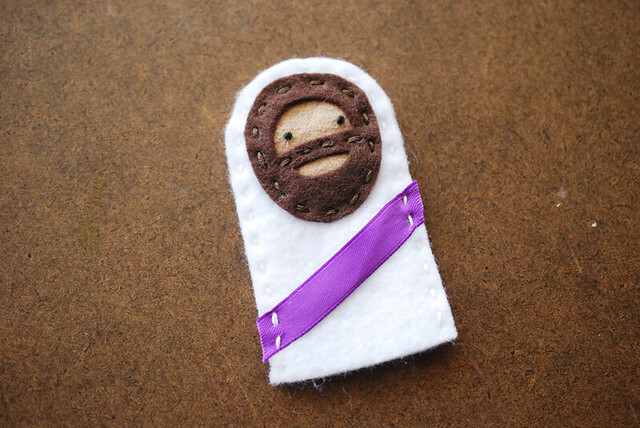 The elementary kids are getting pencils with felt cross toppers that my mom found online, and I noted that the crosses look like finger puppets. 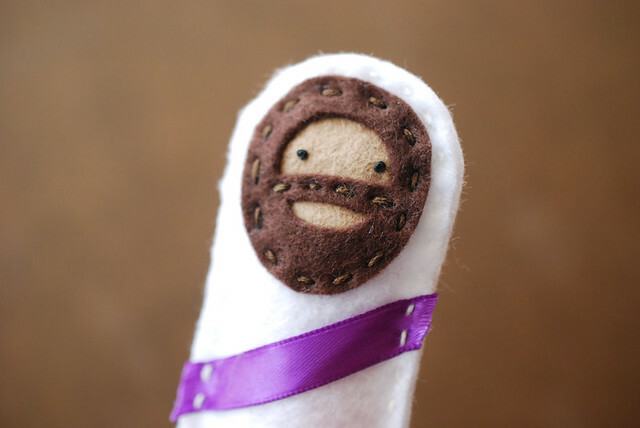 Which got me thinking that finger puppets would be a great gift! 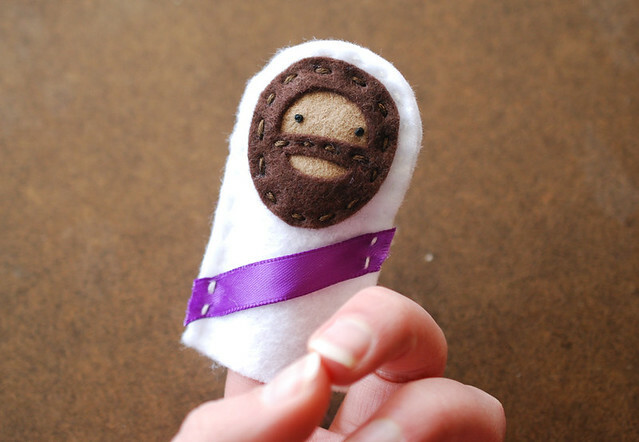 Jesus finger puppets! But none could be found that would work for our needs and budget. No big deal...I'll just make them! 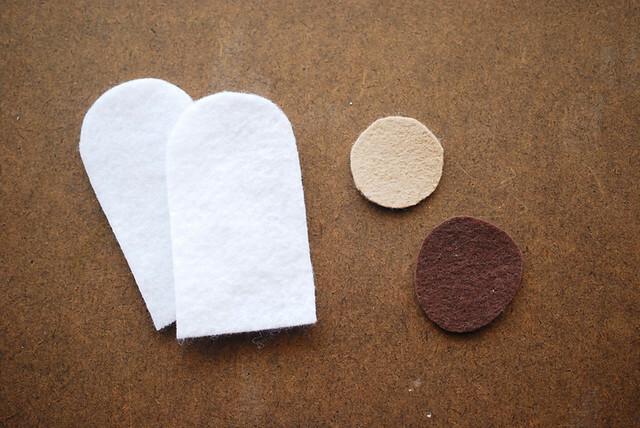 Cut two body pieces from white, one face from tan, and one beard from brown. Cut the center sections from the beard by folding it in half. It's almost easier to just freehand it and give it your best shot than it is to try and use the pattern when cutting like this. 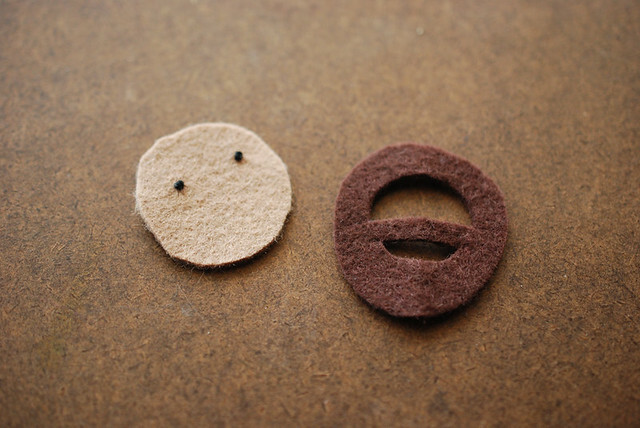 Just be aware, the beard is what will give your puppet it's personality. That, and the eyes. Speaking of which, stitch the eyes on the face piece with french or colonial knots. This step may not be necessary, but to be safe, I tacked down the face to one of the body pieces with a single strand and a tiny whip stitch. 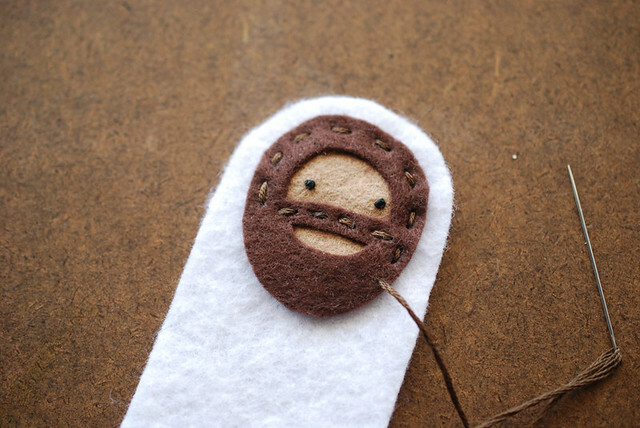 Place the beard over the face and stitch all around it with running stitch and matching brown embroidery floss. I used all six strands. 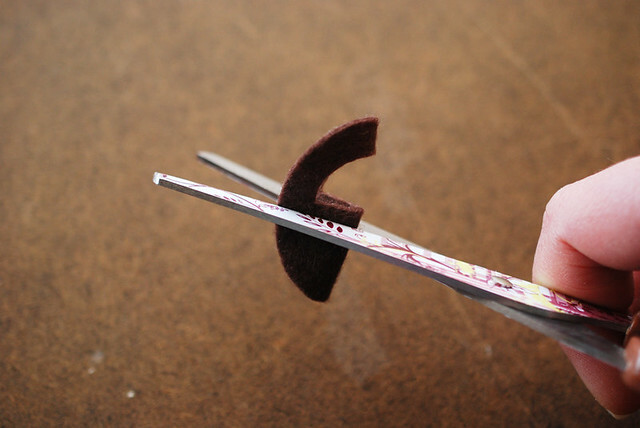 Hold the two body pieces together and place the ribbon on an angle. 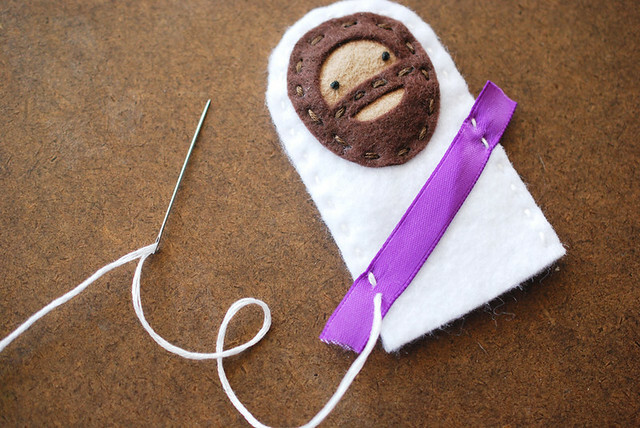 Stitch all around the sides and top of the finger puppet body, making sure that you get a few stitches in each side of the ribbon sash. Trim the edges of the ribbon to match the sides of the body and you're all set to go! 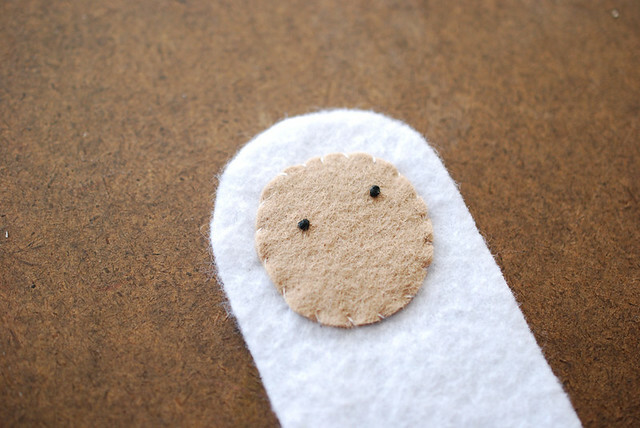 When making so many of these, what I found I loved most about them was that each face was a little different. And yet, each was a reminder of the one who loves the children who will receive them. The one who loves each of us with a love so great it cost Him His life, whether we believe it or not. But I hope you do believe. Jesus is alive and He loves you so much. These are wonderful! No wonder that you haven't posted much recently; you have been questioning your sanity. I remember years ago when I was in charge of a church Christmas party and couldn't find just the right small gift. I did eventually through Oriental Trading and was releaved until I realized that the Nativity ornaments all had to be assembled. Yeah! Four days of non-stop gluing and tying and placing of figures. But everyone was delighted. So worth it in the end. Mollie, that is one seriously awesome finger puppet!